There’s probably some really great title for this blog, better than "Liberal Arts and the Word of God," but I just can’t seem to find it. I thought of titles involving the right brain as well, but I thought that would mystify too many people. God doesn’t just want to speak to your left brain (the logical, exact, scientific, and mathematical side of your brain), but if you want to actually follow through on the commands of God—to avoid being a hypocrite—then you need God to speak to your left brain as well. I’ve said this before, but thought it was worth repeating: It’s in Apple’s DNA that technology alone is not enough. That it’s technology married with liberal arts, married with the humanities, that yields us the result that makes our hearts sing. This was said concerning the iPad 2. Last fall I sat and talked with two friends, both of whom work for Apple. They were commenting on how Apple was selling a produce, the iPad, that served no new purpose. Everything the iPad does can be done with an iPhone or a laptop. Steve Job, by mentioning liberal arts and the humanities, says that the iPad’s appeal is not usefulness; it is beauty. The iPad appeals to the heart. God is not a salesman, but God made us. He not only knows how we’re constituted, but he approves of it. He’s the source of it. Thus, the Word of God, reduced to it’s left-brained, merely logical, scientific and mathematical basis, is, um, let’s say dehydrated. It’s like Carnation Evaporated Milk™ or a military MRE (Meals Ready to Eat, which are mostly "just add water" powders and dried patties). It may have all the vitamins and nutrients you need, but very few people like to eat it. 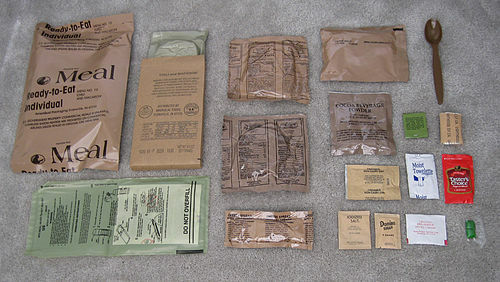 Does this produce a different emotion than an MRE? In the early days of the church, the writings of the old covenant were a rich source of spiritual insight. Christian teachers, across the board, taught that all new covenant disciples, being endowed by God with the Holy Spirit, could look into the words of the Law and the Prophets and glean spiritual truths. An example used repeatedly in their writings: The food laws, which taught that the only clean animals were those that chewed the cud and parted the hoof, were not about food. God doesn’t care about food, and food can’t defile a man. Instead, those laws taught us that we are to be in fellowship with those that ruminate on the Word of God and separate from the world. An example from Bible class with my kids a couple days ago: In Genesis chapter one, there is a reason that light and day are created both first and three days before the sun. Light is of first and foremost importance. We are children of the light and of the day, and our lives are to be a testimony of the Word of God. Further, God didn’t want us to think that light for us is physical. The physical light and the physical day would come later and be of secondary important. Our light comes not from the sun but from the living Word of God. In the deepest darkness, the voice of God cries, "Let there be light," and there is light. Another common early Christian example: When the Israelites defeated the Amalekites on the way to The Promised Land, they were able to be victorious only while Moses’ hands were in the air. Why? It is because we are to learn that our victory over our enemies comes only through the cross. To the early Christians the raising of hands always represented the cross. It represented both our triumph through the cross and our access to God through the cross. Why such pictures? Why do we have to focus on analogies, and why did God want us to have to dig, search, and be spiritual enough to find those analogies in the words of the old covenant? The reason is that God knows that obeying his commands is more than a dry, logical choice. We are not dry, logical creatures. We have a left brain, and a right brain, and that is not some physical limitation, but the purposeful choice of God our Creator. There is a liberal arts side to the Word of God, and that is the purposeful choice of our Father, who had made us like himself. Our life in him is imbued not just with commands and obedience, but with beauty, emotion, zeal, and excitement. We are supposed to be delighted with discovery and deeply satisfied with spiritual insights. Alone, left to our decisions and commitment, we will falter and stumble. God has put us in the body of Christ, where we all need one another, and where our sharing is not just the nutrition of obedience to God, but the beautiful colors and rich packaging that is allegory, spiritual insight, and participation in the revelation of God. Excursus: Can God be Silent? Did God take a vow of silence for the last 2,000 years? As the church has wandered here and there, and as both counterfeit and utterly corrupt Christian movements have arisen, God has had nothing to say in the way of correction? He has waited around for men to know about, find, and interpret a book that’s really a collection of books? Is that what you would have done if you were God? You’d have sat silently through the last wild 2,000 years of history? God is not like that. We wrongly attribute 400 years of silence to him in the "intertestimental period." There was no 400 years of silence. God prophesied what would be happening during those 400 years through Daniel, and the incredible and powerful history of Isreal continued as described in the books of the Maccabees. Finally, even when Jesus showed up as a baby, we read of the prophetess Anna in the Gospel of Luke. There were still prophets and prophetesses in Israel until John the Baptist, when the gift of prophecy moved to the church. God is never silent. It’s horrifying to hear people say that he’s had nothing to say since the time of the apostles. This entry was posted in Bible, Modern Doctrines and tagged apple, bible interpretation, does god speak today, emotion, liberal arts, steve jobs, word of god. Bookmark the permalink.